Microsoft has today announced a new member of its Lumia range in the form of the low-end Lumia 530, which will arrive from the start of next month in Europe. Priced at €85 before taxes or local subsidies, Microsoft said it expects the Lumia 530 to go on sale in European countries for a retail price of below €100 when it starts to roll out next month, putting it at the lower-end of the affordability scale for Lumia devices. 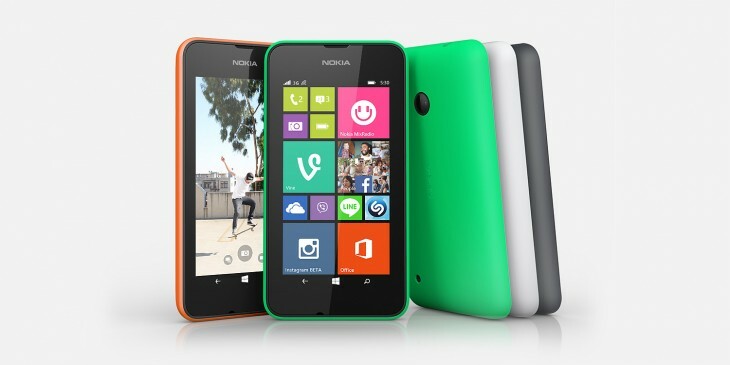 Key specs include the most recent version of Windows Phone 8.1, a 1.2GHz quad-core Qualcomm Snapdragon processor, a 5-megapixel camera, a 4-inch FWVGA (854 x 480 pixels) display and a selection of interchangeable colored shells – available in bright orange, bright green, grey or white. The device will also be offered in single SIM and dual-SIM variants. 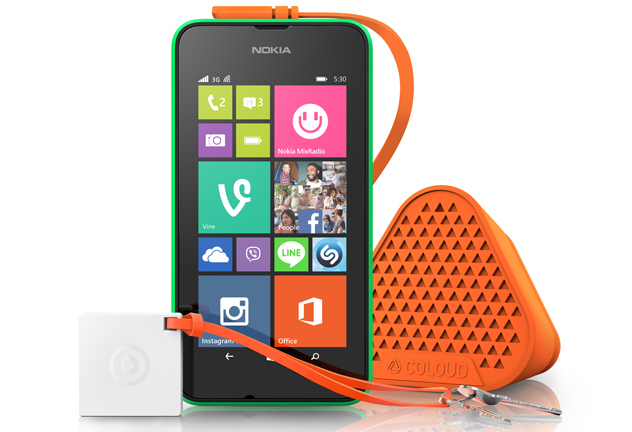 Alongside the phone, the company also introduced a new mini speaker designed with portability in mind. Priced at €19, the Bang by Coloud may not offer luxuries such as Bluetooth connection, but it does offer connectivity through a 3.5mm headphone jack and promises up to eight hours of playback. Microsoft said it would be available “in the coming weeks”.